Foreig­n Office to assess impact of US sancti­ons on the projec­t. Iran was facing sanctions and the Foreign Office had been asked to assess the impact of US curbs on the project, he said. Turkey and Armenia are already getting supplies from Iran. Talking about liquefied natural gas (LNG) import from Qatar, Abbasi said Qatari government had asked Pakistan to build an LNG terminal before going for a gas supply deal. So far, no agreement had been signed for LNG import from Qatar, he clarified. 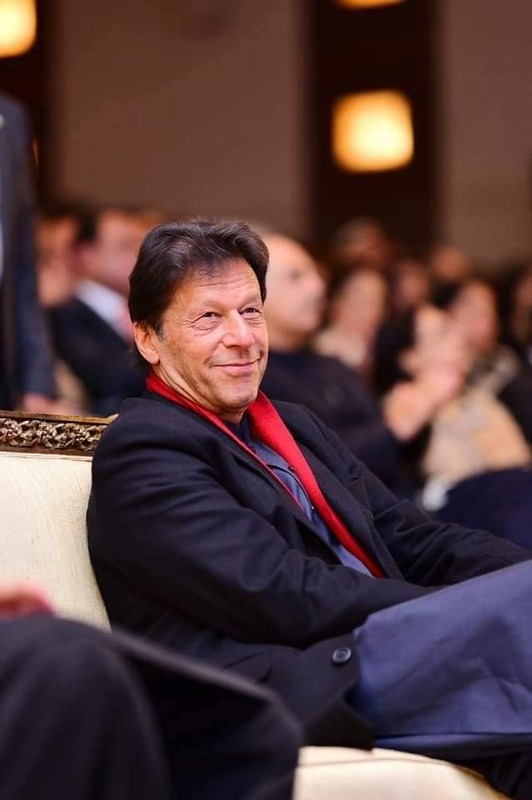 “I visited Qatar along with Punjab chief minister, but the Qatari energy minister asked us to give a commitment that LNG terminal will be built first,” he said. Many countries have set up terminals first and then signed the gas supply deal. “We will follow this model,” Abbasi said. The consultant for LNG import has proposed that Pakistan bring the Asian Development Bank (ADB) on board for guarantees in an effort to avoid providing government guarantees. 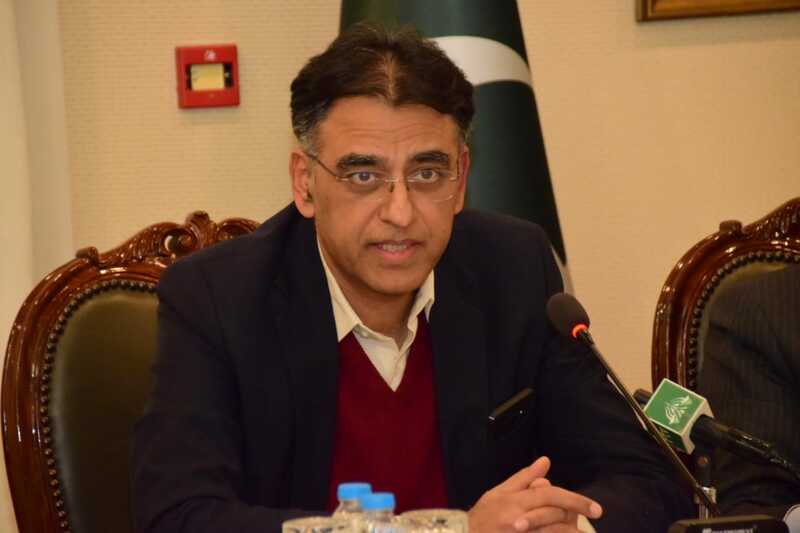 “We want LNG suppliers to accept guarantees provided by gas companies rather than government guarantees,” he said and declared that Pakistan would not import LNG from Qatar if the price was not feasible. He made it clear that the government would not explore the option of striking a state-to-state deal for LNG import from Qatar and said Doha had varying gas price agreements with different countries. Earlier, it provided LNG at $2 to $3 per million British thermal units (mmbtu) to Japan, which has now signed a deal at $16 to $17 per mmbtu. Similarly, India had struck an initial deal at $3 per mmbtu, but now it reached an agreement at $19 per mmbtu. 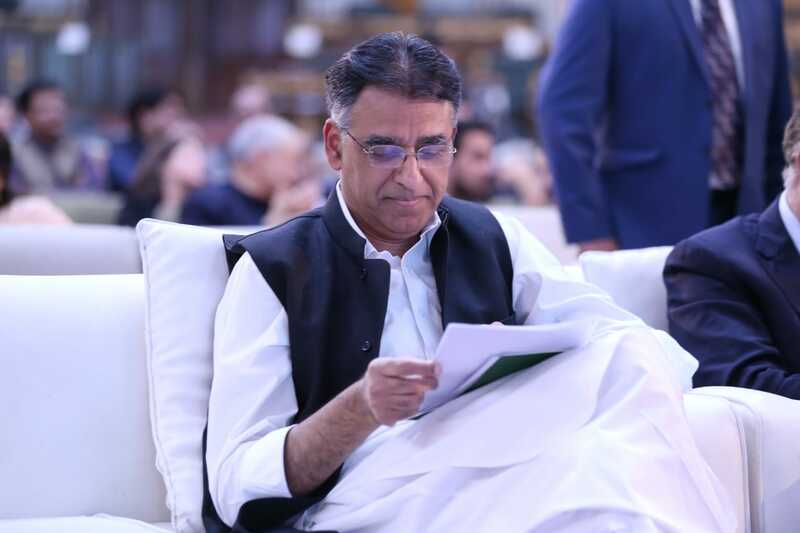 According to the minister, bids will be invited for import of 200 million cubic feet per day of LNG on fast track through a terminal along with a jetty. In this programme, five parties are interested who claim that they will be able to bring LNG in six to eight months. He expected the government to sign a 10-year contract with the successful bidder and tolling charges would be paid to the terminal owner. “LNG imports will start in mid-October under this project,” he expressed the hope. In the second option, Sui Southern Gas Company (SSGC) had invited bids for starting work on a retrofit project for LNG import. In this programme, SSGC will convert Progas LPG terminal into an LNG handing facility. Technical bids had been opened, but financial bids were not. “We have asked SSGC board of directors to examine the financial bids. The government will push ahead with this project if it is technically and financially feasible,” he said. 4Gas Asia has qualified for it and, according to Abbasi, PPRA rules also allowed the award of contract to a single supplier. Apart from this, two offshore projects of 500 mmcfd each were under consideration, which could be at Port Bin Qasim or Gwadar Port. “We can save $500 to $700 million per annum if we change fuel (from oil to gas),” he added. Minister hopes pipeline will be laid within the stipulated timeframe. Seeks to amend GIDC Act to allow it to manipulate gas prices at will. America spending billions of dollars every year, Iran helping with pipeline, Russia helping with steel mills, Saudis & Chinese helping with telecom, Chinese helping with nuclear plants, Chinese helping with Port development, Chinese selling basically almost everything in Pakistani market. Even the terrorists are not being lazy and are dutifully carrying out their suicide bombings! Yep Iran can pay for the pipeline and then it can pay for the gas. Pakistan’s contribution to the project is that it is courageously willing to accept free gas despite the sanctions. COnsidering the number of times PSO had a technical default which foreign supplier will agree to do that? Yeah first step to stop this project, i am 99% sure Mr. Sharif with his saudi love affair will not let this project go through. According to the minister, bids will be invited for import of 200 million cubic feet per day of LNG on fast track through a terminal along with a jetty. This Equates to 2.52 Million Tonnes of LNG Per Day! As such I would opine that the Figure is 200 Million Cubic Feet of Natural Gas per Day. 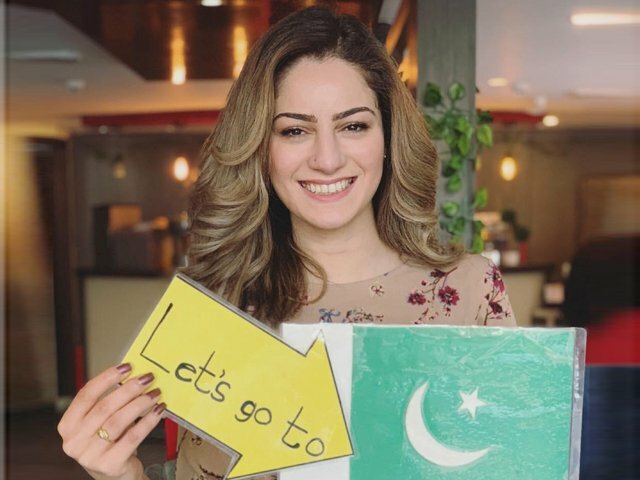 It looks like Pakistan does not mean business – a suggestion to Iran – don’t waste time on Pakistan and let them live in darkness especially when they have controversial PML N government. 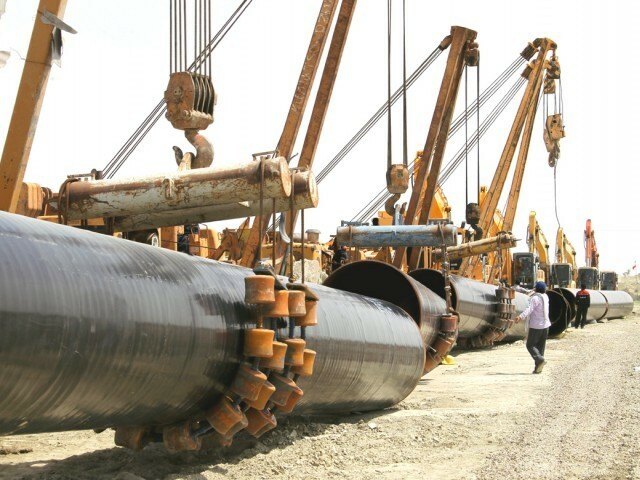 It will be a real test of friendship of Iranian Government, I.e., whether it is willing to help energy-hungry Pakistan or this pipeline is just a show-off just like various other shallow promises of PPP? In the later case, the credibility of brotherly Iran will be at stake just like the PPP had lost all credibility during the last few months of its government. waste of time and money. I suggest Pakistan govt should cancel this project in protest to Iran’s interference in Syria and killings of Syrian by their revolutionary guards. Govt should focus on TAPI rather. Let me guess that Pakistan’s next demand is that Iran must also pay Pakistan to consume the gas Iran supplies to Pakistan . If the Iranians agree ask that the loan be replaced by an outright grant. Simple means we can’t step further without the concent of our Masters……….?????? Huh? Pakistan refuses to pay its part of the pipeline cost which was agreed upon and that puts Iran’s credibility at stake? Strange logic. If they cannot finance a pipeline because of sanctions, how can they import gas in future? The worst thing about PmlN is they make punjab centered policies, not considering Pakistan in general,which has already divided provinces for decades.The obvious example is punjab CM accompanying every minister at every possible level. Secondly why are we not moving our resources towards development of hydel generation which is green and cheaper electricity solution.Again if we are buying LNG and Gas from foreign countries will give rise to debts in coming future and keep on choking the economy for ages to come,We still did not learn from the failures of ppp government. Government need to balance out the equation and going all out for thermal energy is not the solution. Pakistan is becoming like Dubai. Outsiders come and work in Pakistan, they build ports and nuclear plants (Chinese), gas pipelines (Iran), etc., while the locals relax..
An innovative way to fight un-employement. @Alann: You cannot be more precise than what you have commented in entirety. It shames me to see the condition of the country after sixty-five years. The existence of IP Pipeline in our territory is a forgone conclusion. PM Nawaz asking Iran to build it is another ploy in the game that is being seduced by Saudia and the USA. Spending billions of dollars on nukes is not a problem but no money for light and gas. The people are comforable with it then why complain. Not only should Iran finance 100 % of the Pipeline if the gas flow does not start by Dec 2014 Iran must pay a penalty of USD 8 Mn per day. Anyone surprised? Pakistan fully understood the problems with sanctions when it made the chest thumping statements and signed agreements with Iran – using “sanctions” as as excuse for not honoring it’s commitments is pathetic, unethical and one more reason why nobody trust Pakistan. Do the readers recall what I wrote months ago about the master sending his servant to buy coconuts and teaching him how to bargain? Is it not happening exactly the same way? Knowing pretty well the Iran’s isolation and Pakistan’s blackmailing culture, India has withdrawn from IPI Gas pipeline project. Why our deep sea and mountain high friend China is not extending loan for this project while $500 million is nothing for them. Iran pays for the Pipeline in its own Territory. Pakistan must pay for the Pipeline in Pakistani Territory. If Pakistan does not pay for the Pipeline in its own Territory then Pakistan will have defaulted in its obligation to build the Pipeline in its own Territory. The reason for Pakistan asking Iran to build the Pipeline in Pakistani Territory is patent and for all to see i.e. Pakistan does not have money to build its part of the Pipeline. This would make Iran very weary of Pakistan’s ability to pay for the Gas it receives from Iran. There is also a clause in the IP agreement that if Pakistan fails to build the pipeline by ending of this year, they will have to pay a hefty penalty. 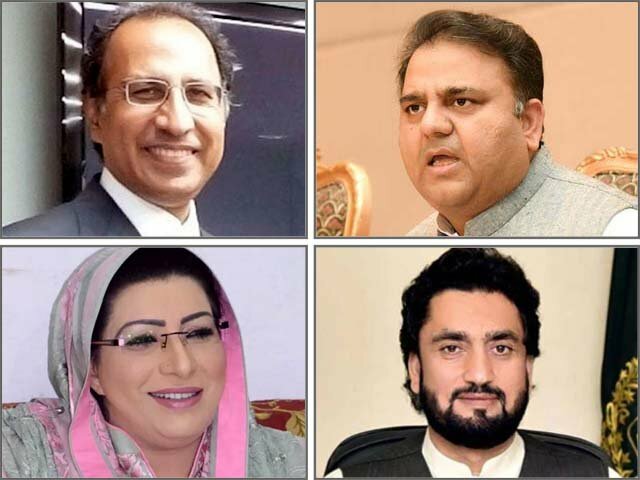 Everyone in Pakistan knows the fact that the previous governments in Pakistan were not serious in the IP pipeline when former dictator Musharraf wasted 7 years and then his NRO-beneficiary the PPP government did nothing in its 5 years tenure except for making headlines by signing the Agreement during the last few days of its tenure, without even making any budgetary allocation. Many analysts in Pakistan had considered this agreement as an election stunt of PPP. While the cost of the project has escalated during the last decade (cost overrun), the price per unit has also gone up to the unsustainable level of US$ 13 mmbtu. This price could be feasible for Pakistan only when Iran covers the construction cost of US$ 1.3 Billion and there is no wrong if the PMLN government renegotiates the matter on realistic grounds rather than rhetoric! Is Pakistan’s love affair with Iran over in post Zardari scenario ? Is PML (N) regime not in a position to sustain US pressure on the Pak-Iran pipe line issue ? @A Pakistani:This price could be feasible for Pakistan only when Iran covers the construction cost of US$ 1.3 Billion and there is no wrong if the PMLN government renegotiates the matter on realistic grounds rather than rhetoric! Pakistan has asked Iran to revise the price of gas downwards from 78 percent of crude to 70 percent of crude (Iran has refused to renegotiate the price downwards). The Basic Problem is that seemingly Pakistan does not have the Financial Resources to build the Pipeline. As such it may not be possible for Iran to spare resources, Iran is under “Heavy Sanctions”, to build the Pakistani portion of the Pipeline or to lower the Price of Gas being delivered to Pakistan. Thus let us wait and see how the Cocoon Spins!